Short Bytes: P2P file sharing is the process of sharing digital content like electronic books, multimedia (music, movies, video clips) through a direct connection between two peers or nodes over the P2P network. This is done with the help of a P2P client software which allows a computer to get connected to a P2P network. The peer which hosts the file is called a seed and the one which downloads it is called a leech. BitTorrent is a file sharing protocol that is quite favored since the last decade. In the 21st century, P2P or Peer-to-Peer file sharing is a ubiquitous technology that has proved its part to revolutionize the internet era. P2P sharing is much praised by the pirate community, as it helps to channel digital content such as music, movies and TV shows over the internet, obviously, without paying for it. But it wasn’t intended for the purpose it has been utilized now, and the innocent P2P file sharing is being blamed for all the losses borne by the production studios and music labels. Before diving into the world of P2P file sharing, let me guide you with its basic roots, the P2P network. It is basically a network of different computers called, “Peers” (or nodes) connected with each other and are ready to share resources like processing power, connected peripherals, hard drives, etc. The rudimentary internet was more like a peer-to-peer network – “Tim Berners-Lee’s vision for the World Wide Web was close to a P2P network in that it assumed each user of the web would be an active editor and contributor, creating and linking content to form an interlinked “web” of links”,” writes Wikipedia. The file sharing technology was much-sensationalized by the music sharing service Napster co-founded by Shawn Fanning, Sean Parker and John Fanning in 1999. Napster was a peer-to-peer network in which users could download MP3 songs without even paying a penny. The name of the user who had a particular song in his music library was displayed, to which other users could connect and download the song subsequently adding their name to that list. The service was discontinued in July 2001 following a copyright infringement lawsuit. The Napster co-founder Sean Parker was the first angel investor to Mark Zuckerburg’s The Facebook in 2004 after he saw the website on the computer of his roommate’s girlfriend. 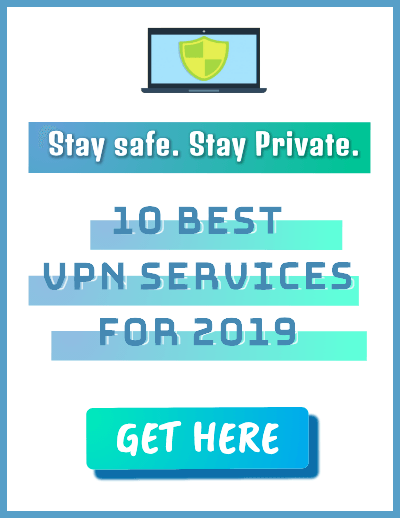 In the following years, file sharing world was nurtured by applications like Morpheus based on Opennap protocol, Kazaa which FasTrack protocol and the Gentualla network. 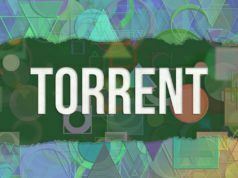 One protocol that marked a strong existence in the P2P file sharing world is the BitTorrent protocol, which came into existence in 2001. The protocol is the force behind the success of The Pirate Bay. The world’s most successful torrent hosting website launched in 2006 has been on the gun point of the copyright holders and that its founder Peter Sunde had to face a 6-month jail term delineates the level of criticism faced by the website. How P2P File Sharing Works? After the client successfully found and connected you to the relevant seed, the file sharing process begins. There is one catch in the process – the files hosted by a seed are fragmented or in laymen terms, divided into small parts of around 1 MB size. A particular seed may not have all the fragments at its disposal. To overcome this issue, the P2P client searches for different seeds for every different fragment it has to download from the network or one seed may be able to provide multiple fragments. There are chances the client will connect you to a large number of seeds, say a thousand count, just to download a single file. In a nutshell, it is just a “give and take process”, you being the leech hungry for a file fragment and acting as a seed simultaneously, hosting file fragments you already have for other leeches on the network. Recommended: Everything About Tor: What is Tor? How Tor Works ? How P2P is different from Client/Server Model? When we are connected to the internet, we use the Client/Server model in which our computer is the client initiates a request to a server computer, which might be hosting some website or a file. The server then replies with the appropriate data packets for our request. The same server computer can allow us to connect with other clients on the internet and allow transfer of data between the two devices. That’s not the case with P2P model, the central server doesn’t find its utility in the network and hence it has been eliminated from the network. Although, there were servers used in the initial days to store the data about, which users are connected to the network. The unsurprising security concerns pointing towards the breakdown of the whole network may have been a cause to its elimination. Another contrast is the efficiency of the network. In the case of Client/Server model, bandwidth per user reduces when the number of connected users increases. If you are downloading a file from a server then your download speed will degrade every time a new user starts downloading that file. In P2P, an increase in the number of peers only improves the efficiency of the network and increases the bandwidth available to the peers. Furthermore, the P2P network is more cost efficient for individual peers. The same amount of bandwidth is consumed every time a user downloads a file from a server, for which the costs are to be borne by the person or company which maintains the server. But for P2P file sharing, the responsibility of providing bandwidth is on the users not on the original uploader. 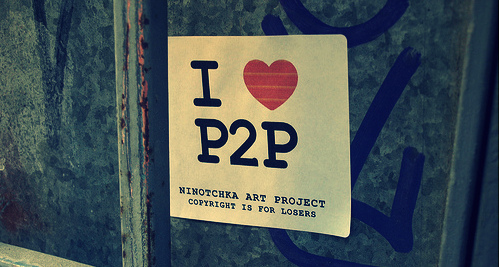 The P2P file sharing has been criticized for acting as a medium for disseminating pirated content such as music, movies, games, e-books, etc. These acts of copyright infringement cause heavy financial damages to production studios and music labels who spend billions of dollars to create multimedia content. The concern regarding the economic impacts of P2P file sharing has been the talk of the town since its advent into the internet world. Downloading illegal content has been regarded as unfair practice in order save money. But this view does contradict with the writings of Professor Yochai Benker. In his book The Wealth of Networks, he expressed his viewpoint that P2P file sharing is way more economical than it is considered. When a user downloads a file, he is paying the full transactional and marginal cost of such sharing even if it “throws a monkey wrench into the particular way in which our society has chosen to pay musicians and recording executives. This trades off efficiency for longer-term incentive effects for the recording industry. However, it is efficient within the normal meaning of the term in economics in a way that it would not have been had Jack and Jane used subsidized computers or network connections”. Alluding to various surveys conducted in the US, most of the users do consider getting a DVD from a store without paying for it as an offense but one can’t witness a similar mindset when it comes to downloading a pirated copy of a movie from the internet. Users also concluded to permit file sharing of copyrighted content up to some extent, say distributing a movie DVD to friends and family. A survey conducted in the UK did reflect the viewpoint that the file sharing companies should be held responsible for the obtainability of illegal content on their network while some residents did blame the file sharers as the prime lawbreakers. Apart from all the copyright infringement issues there in an indispensable concern that needs to be addressed, is file sharing safe? Most common cyber-attacks like identity theft, purloining personal data such as name, age, etc. Even your unique identification number or social security number may be exposed on public platforms. The P2P network may also be held accountable for spreading malware, usually bundled with media files downloaded by the user. Malware may be a Trojan which steals user’s confidential data like credit card information and then it is sold in the Darknet for some hard cash. The P2P file sharing is an astounding technology that has come into existence, it eases up the process of mass distribution of digital content over the internet, although, most of it is associated with spreading pirated content. And let me remind you, P2P file sharing is not a bad thing. Using it for downloading and uploading pirated content is the concern faced by the federal agencies, as it makes a great contribution to the losses which occur to the respective owners of the transmitted content. Users should keep in mind not indulge in any sort of illegal activities and try to make good use of a handy tool that has been provided them, or they should prepare themselves to end up in a jail.